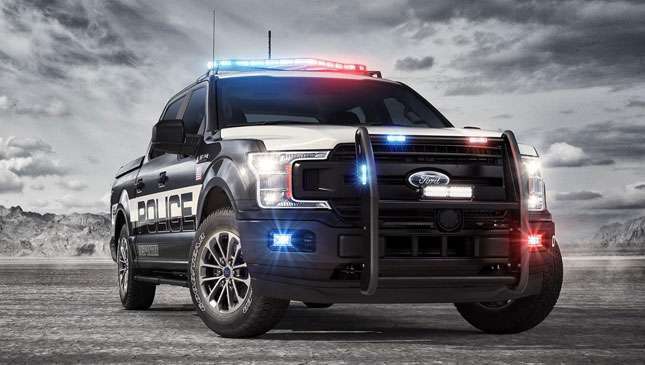 American police cars, and the pursuit they’re involved in, tend to fascinate those of us on the other side of the world who are more likely to see a police officer giving chase on a kalesa than in a V8 sedan complete with bull bars. 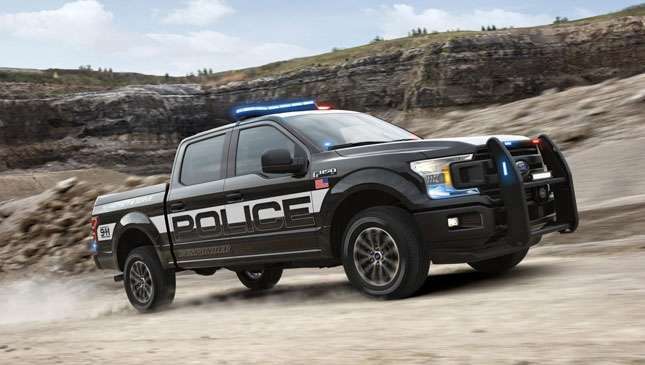 So, what’s better than a regular American police car? That’s right: this. 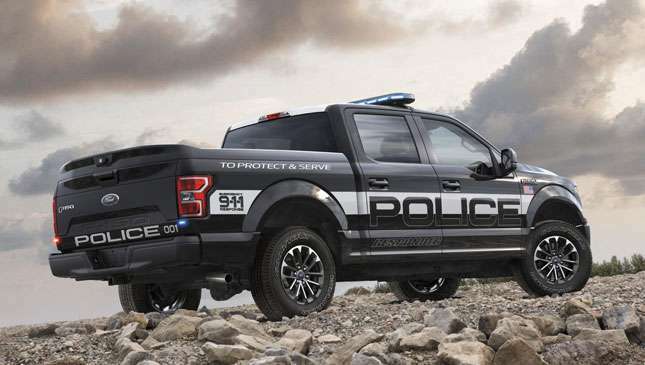 The Ford F-150 Police Responder. 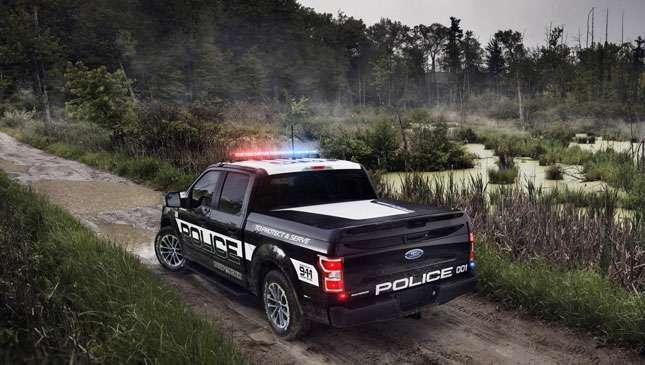 Ford says it’s the first truck officially rated for police pursuit duty, and it looks quite serious. First off, it’s not a V8. 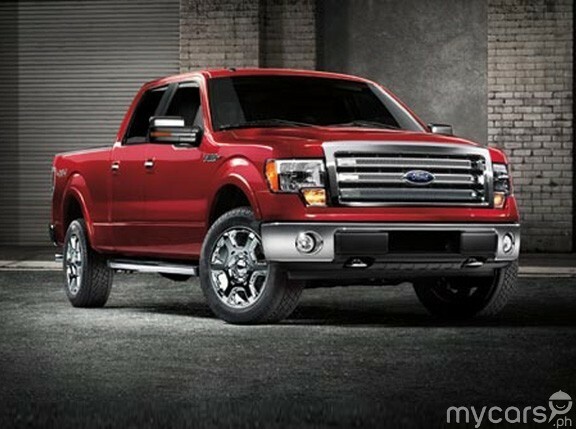 Instead, the new F-150 prefers EcoBoost V6 power, connected to a 10-speed (10!) 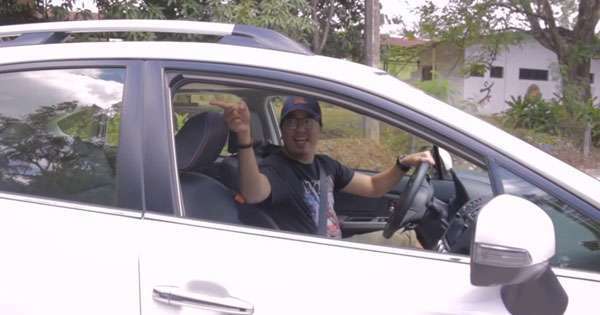 gearbox and all-wheel drive. 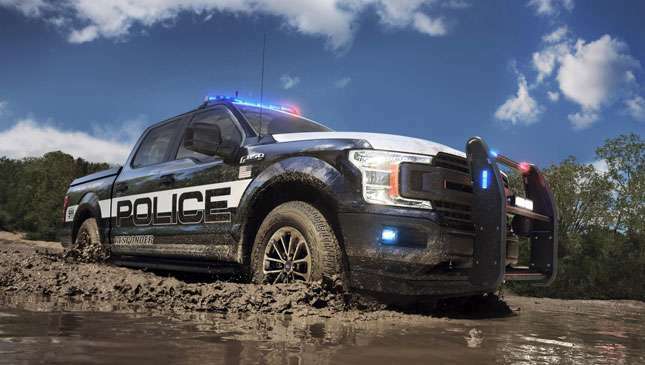 Thanks to 375hp and 637Nm, the top speed is 161kph, but under the beefy body, components have been reinforced to cope with the rigors of law enforcement off the beaten track. 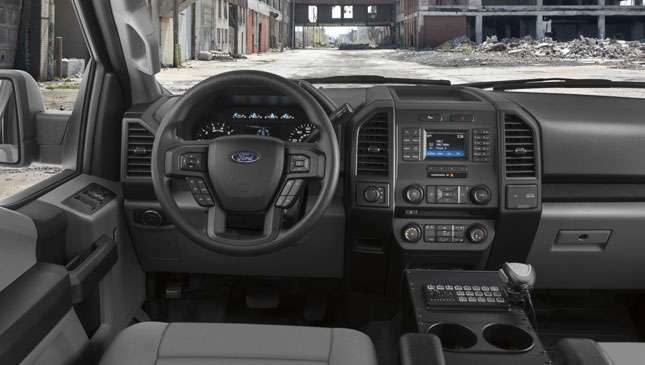 The steel frame and ‘military-grade a-loo-min-um’ body are standard (giving the F-150 the most generous cabin space of any pursuit vehicle, says Ford) but the truck’s got upgraded brakes, a tougher front anti-roll bar, and all-terrain tires. 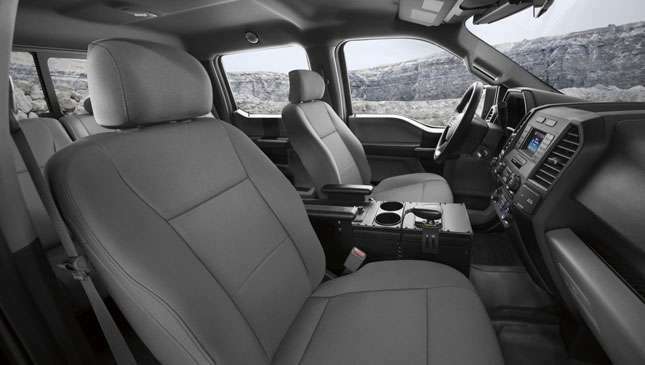 Anti-stab plates have been added to the front seats, and the rear quarters are all vinyl, for, ahem, easy cleaning. 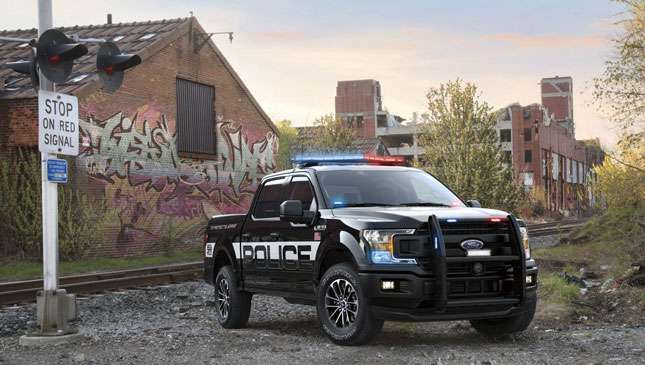 Ford’s also fitted a 240amp alternator to support the extra electrical equipment carried by police forces (laser guns, most likely), under-body protection for huge jumps in complete safety, and an engine idle hour meter to reveal just how long the motor’s been left turning over on a stakeout. 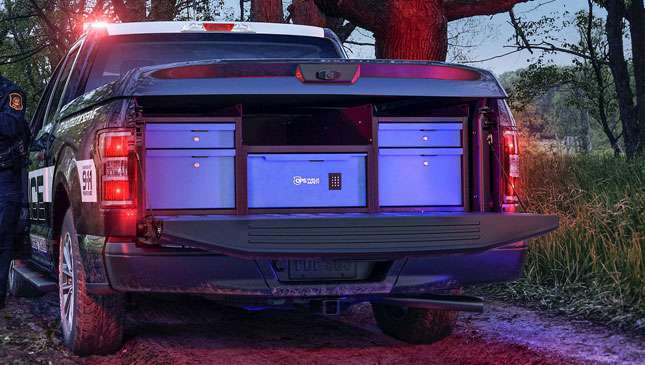 It’s possible we may have watched too many cop movies but we’re pretty sure that’s what all this is for. Now, where’s the Raptor version?